How to effectively sustain migrants, asylum seekers and refugees social inclusion? Which tools can be useful to promote professional, social and cultural integration of their families? 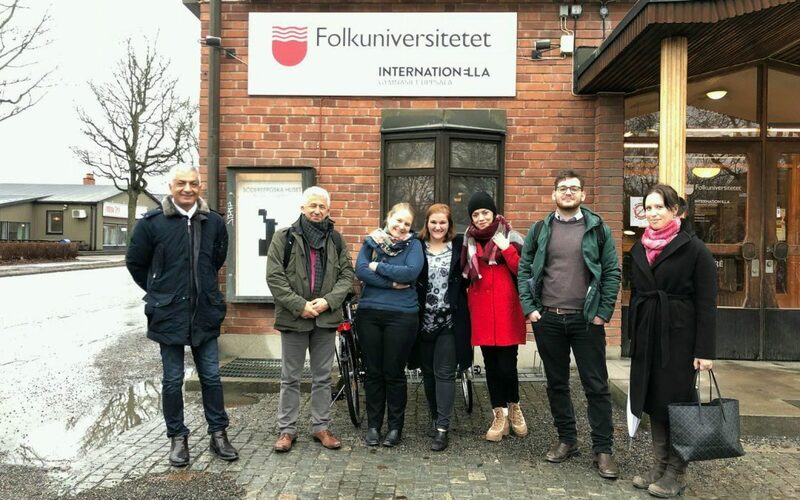 On April 4th and 5th, the second international meeting of the SOFIE project took place in Uppsala (Sweden). During the meeting, the consortium dealt with some major topic such as project management, monitoring and dissemination. Moreover, the partners analysed the research results of IO1: it aims to identify and understand the needs and challenges of newly arrived asylum seekers, migrants, refugees in European countries, the training needs of volunteers working with them as well as best practices of social inclusion processes. a curriculum course for mothers and children: it will focus on fostering language skills and integration of refugee families. 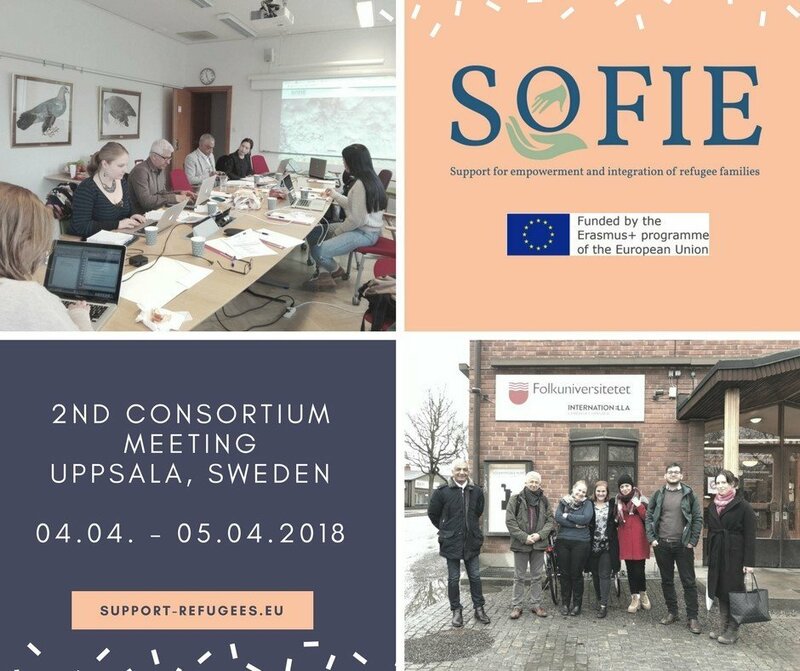 SOFIE online tool and platform: it will inform newly arrived asylum seekers, migrants and refugees where to find the closest support for different relevant sectors such as educational institutions, childcare centres and legal support offices. a curriculum for trainers training: it will allow trainers to improve technical and didactical learning to better support the target group in order to empower them. a guide for best practice for buddying/mentoring by volunteers: it will give recommendations for organisations and trainers on how to prepare volunteers working with arrived asylum seekers, migrants and refugees.